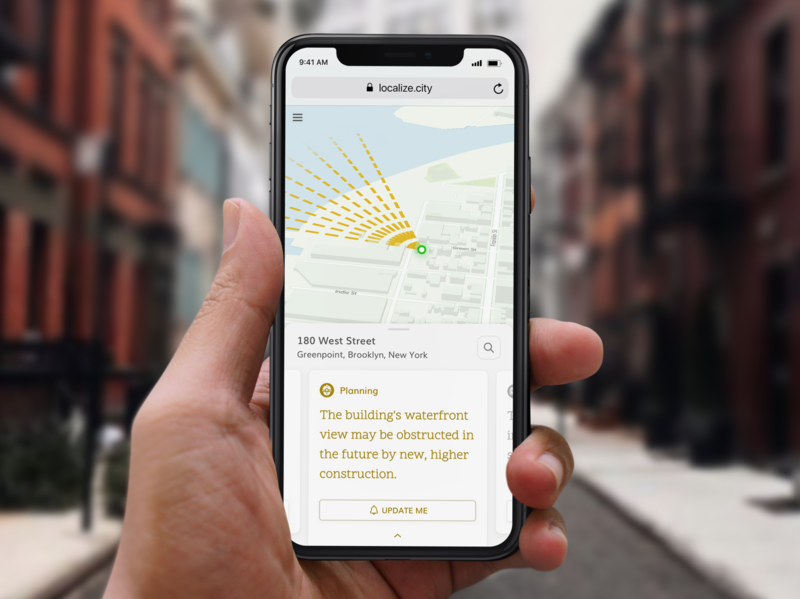 Localize, a two-year-old startup that aggregates detailed summaries of every address in New York City with the help of artificial intelligence, has raised $11 million in a funding round, company executives told Inman. The New York City-based startup, which provides information on schools, construction, weather conditions and other neighborhood amenities, raised $3 million in an initial round of seed funding and, in May, drew $8 million in series A funding from Israeli investors and Zvi Limon and Avigdor Willenz, the founder of the Amazon-owned Annapurna Labs. “The idea is that anyone who is living anywhere in New York City or contemplating living here can come and type an address and learn all about it,” Localize President Steven Kalifowitz told Inman. To gather the information on any specific address, Kalifowitz gathered a team of data scientists, urban planners and cartographers to put together neighborhood facts that are then customized using artificial intelligence. With 90 employees in Israel and 20 in New York City, Localize is a subsidiary of Madlan, an Israeli real estate platform. “Localize.city has already proven their technology is scaleable and can be replicated in cities around the world,” said Limon, a partner at Magma Venture Partners, a Tel Aviv-based venture capital firm. While Localize was originally envisioned as a way for New York City residents to get quick fact about their neighborhood, Kalifowitz said his team has been hoping to get more brokers and real estate agents interested in the service. “We’re helping brokers close a deal faster by not short-changing the end customer because the end customer is making their own decision,” said Kalifowitz, adding that a lot of the data they provide about the neighborhoods is only accessible through governmental documents and technical reports they’ve acquired through Freedom of Information Act requests. With the new round of founding raised, the Localize team plans to continue growing the company and, eventually, expand to more cities in the United States by 2019. Article image credited to Localize.